All About Puerto Vallarta As our 2nd Annual L.I.F.E. Symposium is fast approaching we have decided to dedicate this months newsletter to Puerto Vallarta Mexico. Everything you need to know about the most prestigious L.I.F.E. Training will be found in this month's newsletter. The Vallarta Palace is an all inclusive resort. The cost includes all gratuities, taxes, meals and drinks as well as airport transfers. Seminar Registration:If you register before September 10th 2006 the cost for the Seminar is only $347 USD per person. If you register after September 10th this is increased to $415 USD. Please call Tamara Boreman on 1 800 795 0031 Ext: 2 to register! Early Bird is extended until the end of September. Space is limited so you need to register early. There are some great rooms available for the same price to the lucky few who register early. Ocean Views and double jacuzzi's awit all of you. To view our draft schedule please click here.As we still have some months to go before the actual event small modifications may be made without prior notice. Please check back often. If you attend Puerto Vallarta the following benefits are an extra bonus: You receive the required Basic Training of 1 day. Basic training is typically 2 days and your second day will be provided through Telephone and Webinar Support and the superior training materials offered through Quantum Life and CIHS. CBT certification is available through CIHS: We have worked meticulously with CIHS to ensure all the units and credits are obtainable for your CBT in Puerto Vallarta. This means that by attending our Puerto Vallarta Symposium you will be eligible for the CBT certification by attending the lectures. Chris Keser and Mike Slivinski: Living information Systems Chris and Mike have been committed to creating a bioenergetic device unparalleled in today’s market place. With the release of the new much anticipated hardware upgrade The LIFE System looks forward to the future. Join us and see what all the fuss is about. Dr. Randy McCreary: He has developed an exciting new approach to Mind, Spirit, and Body wellness. This approach emphasizes personal attention to values, holistic balance and systemic integrity within each individual. # Dr.McCreary has created and laid the foundations for more than fifteen (15) research projects within the fields of Neurotherapy, Subtle Energies, and Behavioral Change. In combination with other internationally renown researchers, he is poised to bring national attention to the Neurotherapeutic Approach for the wellness of the Mind, Spirit, and Body. Dr.Linda and Paul Henderson: Basic Training and Navigation. Dr. Linda Henderson is one of the foremost Basic Trainers. Her goal is to ensure that all programs are understood by the practitioner. 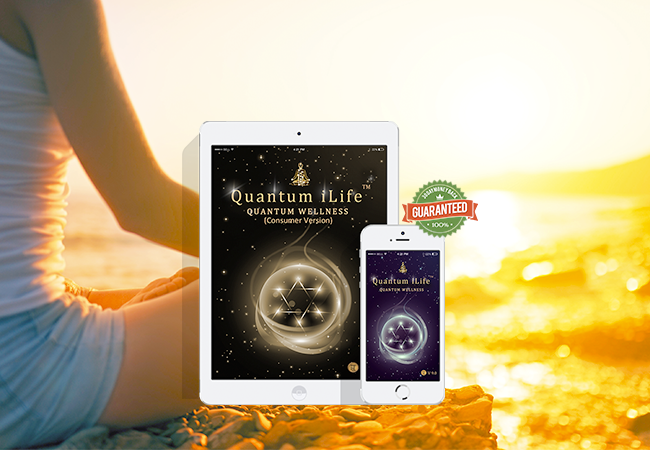 With a wealth of understanding about Quantum Biology Dr. Henderson incorporates her understanding of Quantum Biology into her Basic Training A basic training certificate of completion will be issued upon completion. Dr.Paul Henderson together with his wife Dr. Linda Henderson own and operate The College For International Holistic Studies CIHS. Dr. Paul Henderson will be sharing is insights into how to use The LIFE System acupuncture program. As an astute acupuncturist you can expect to learn some great tips and tricks! April Dangerfield C.B.T. and Michael DangerfieldAs one of our first LIFE System Practitioners April has built a very successful practice in Cardiff California. She offers support to our practitioner base and is well versed in the field of Quantum Mechanics. Together with her husband Michael Dangerfield they challenge each other with their understanding of Quantum Theory. Michael Dangerfield: What the bleep @#$%^& do we know about Metaspace and how do we explain it! Too many of you have asked for an explanation on this hot topic! April will be working with Dr. Linda Henderson with the basic Training. Dr.Thornton Streeter: Where Science meets Spirit. See how The LIFE System affects the human biofield. Dr Thornton WJA Streeter, D. Sc. BRCP, has been working in holistic health for over 15 years having trained as a therapist with electro-crystal therapy, and with the Bio-meridian BEST system. He is a professor teaching Energy Medicine at the Holistic Health department of the Zoroastrian College in Mumbai, India, where he lives most of the year with his wife and daughter. He heads the research team at CHEFR in both Pune, India, at the World Peace Centre, which holds one of only two UNESCO chairs, and also at the HQ in Exeter UK. Dr.Sherry Greenberg: Live Case Studies: The Notch Above. See why Dr. Greenberg has been I practice for over 15 years and never had to advertise other than through word of mouth. Nutrition, detox and emotional profiling will be discussed! Dr.Nick Arrizza: BASc, M.D., RCC is an Energy Psychiatrist, Author, Energy and Stress researcher, Speaker, Seminar leader, Performance and Success Coach. Helene Silver: Rejuvenation, detox and practice building also including a bonus of how to get returning clients! I have been a holistic health educator, nutritionist, and alternative health professional for approximately thirty years. I received my educational training at UCLA and taught in the Oakland Public Schools from 1968-1976. While teaching school, I found the changes in behavior of children before and after lunch alarming. I set out to discover the role that food might play in this phenomenon and began studying holistic health and nutrition at the University of California at Berkeley and Antioch University.